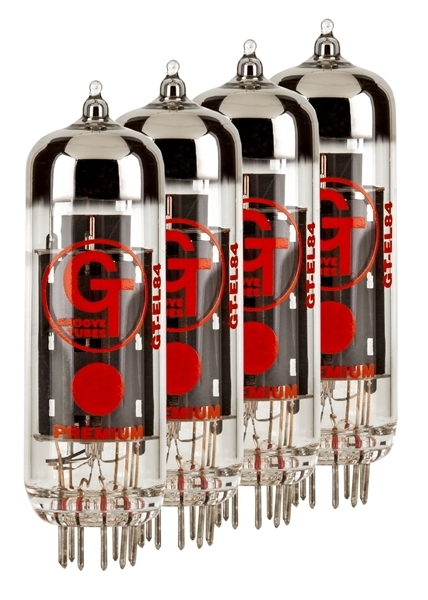 Exhibits many of the same characteristics as the EL34, but with a power output of roughly 5-8 watts. Very creamy and smooth; used in many modern class "A" amps. 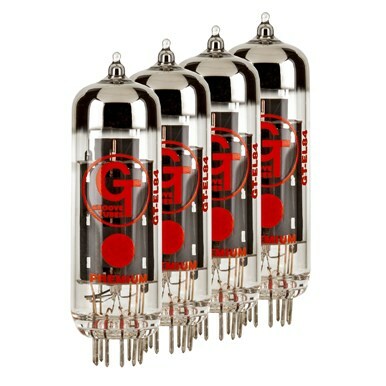 Nearly every modern tube amp company produces a small amp, and Groove Tubes EL84's are a perfect upgrade for any stock tube in these amps. Great for recording and rehearsal; with a soft and tactile touch, rich harmonic response and pleasingly musical top end. A solid performer — good quality and long lasting. Tends to be a little more aggressive and edgy when pushed into overdrive. This version is a little brighter, but still has a nice smooth top end.